Practise listening to the sounds of these chords. They are all root 6 bar chords and take their name from the note on the 6th string. These chords are based on the A open chords moved up. The first chord is a D Major. 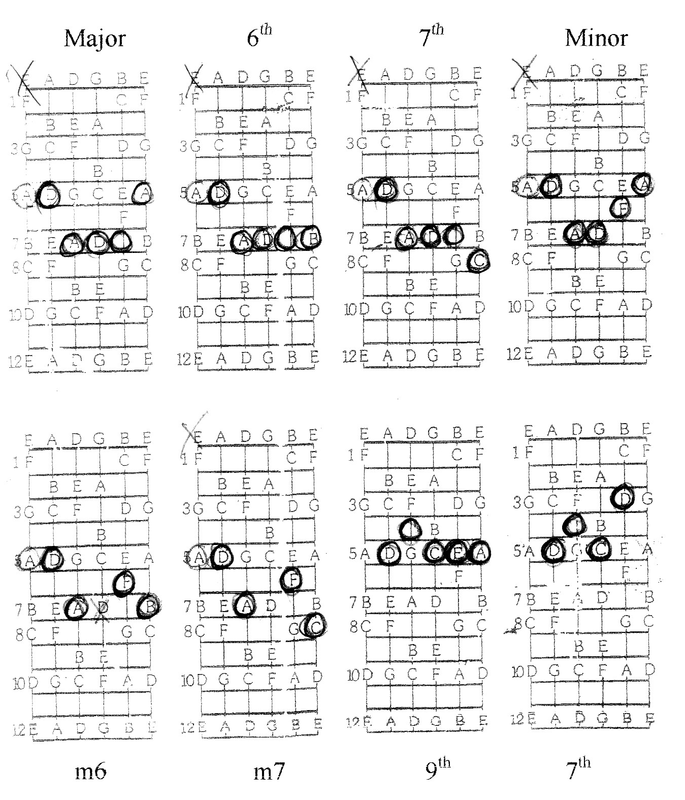 The last two chords, because they move back from the root note cannot be played as open chords but are still root 5 bar chords, they take their name from the 5th string. 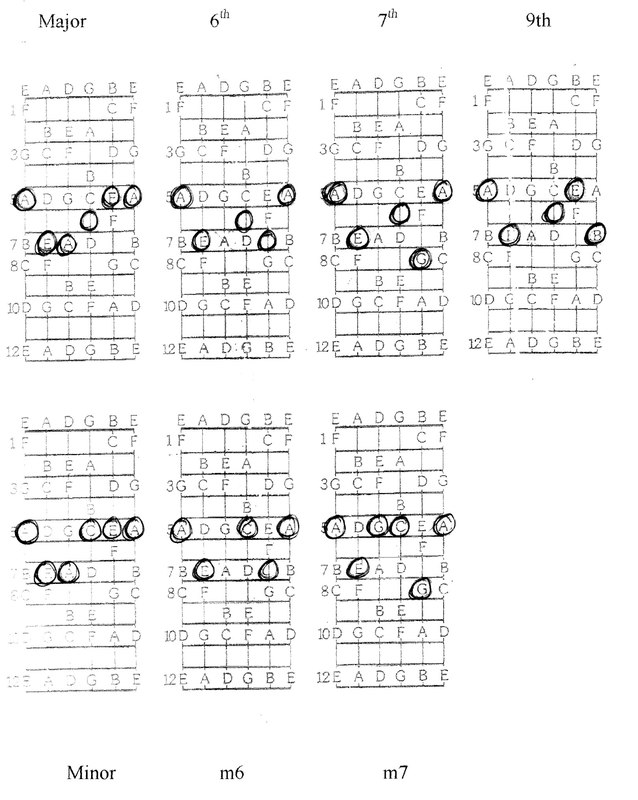 Root 4 bar chords are D chords raised with the bar. These will be useful if you can learn them. 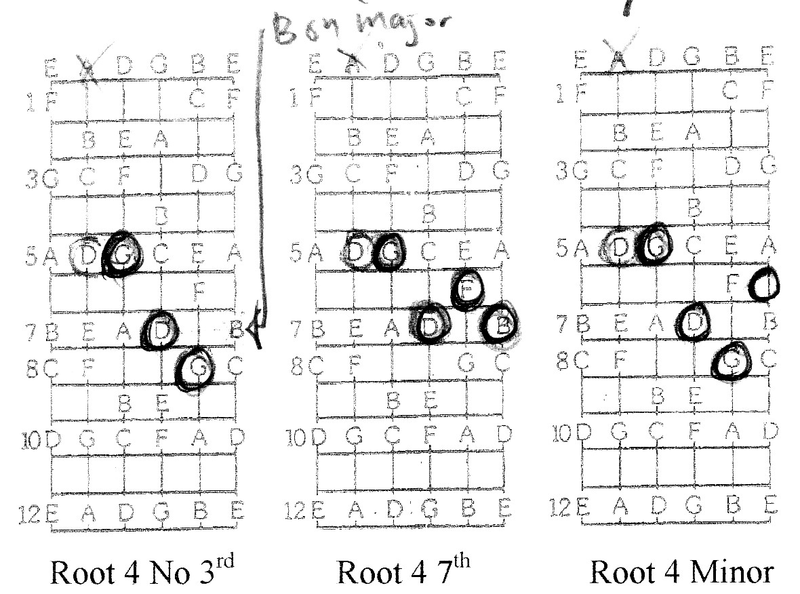 Even when starting, root 4 bar chords are of great use and will become more important as you develop. The B on the first chord, the major is a little hard to play, so when dropped it turns into a Dno3rd. The no3rd gives the chord the sound of not major or minor, a neutral sound and will be really useful in rock guitar. The 5th string can be played if you like the sound, as it will add the 5th below the root.